While maintaining basic functions, this low-cost, quick fitting joint achieves high-performance. 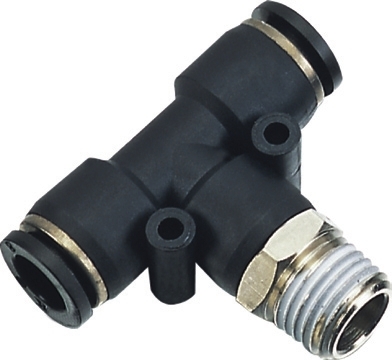 Available in a wide variety of styles, the standard type Tube Fitting is a quick-fitting joint for use in pneumatic plumbing. Design of Lock-claws makes for easy connection and disconnection of tubes. With a threaded model, the direction of the tubing can be changed freely even after installation. Maximum recomended service pressure for Push-In style tube fittings is 150 psi, and service temperature ranges are 32-140 degrees F.